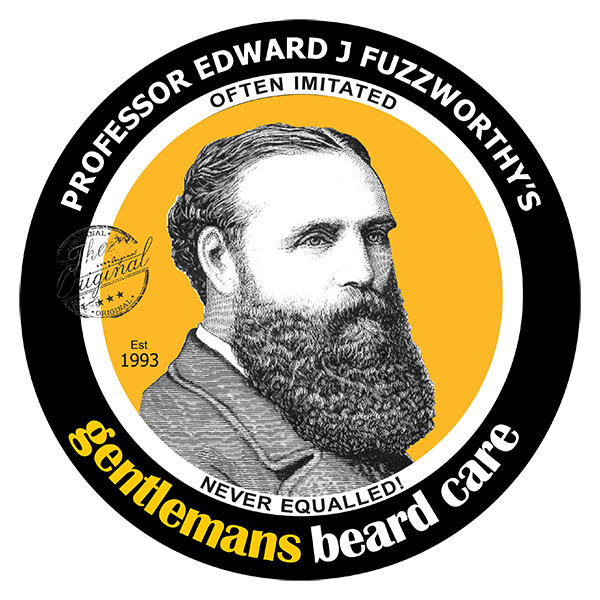 Professor Fuzzworthy Gentleman's Beard Care is handmade in Tasmania, Australia - the world's cleanest place on Earth - from pristine 100% Natural & Organic ingredients for a healthy awesome beard you'll be proud of. Our products are formulated from premium Australian ingredients and ancient remedies specifically to fortify your beard, hair and skin naturally - for truly healthy beard growth and shiny full beard! They are simple luxurious and easy to use - and most importantly formulated to work with our bodies natural make up to develop a healthy long term routine for a healthy strong beard & healthy hair and body. Since 1993, long before ‘organic’ was a fashionable & meaningless buzz word – we have handmade our products FROM SCRATCH with only pure gourmet food ingredients - so safe you can eat them. No pre-made “bases”, melts or pour soaps bought in! AND NO synthetic chemicals harsh on hair and skin that stunt beard growth. Scrap those plastic bottles, sls, parabens, and sickly chemicals - sample the range of Professor Fuzzworthy products- they're travel friendly too! Professor Fuzzworthy Gentleman's Beard Care is part of Beauty and the Bees Tasmania. The Beauty and the Bees philosophy is to harvest and formulate the highest quality and purely natural hair care, skin care, and beard care products, without chemicals, animal tested ingredients, or waste. All Beauty and the Bees products are handmade in Tasmania Australia - using unique 2000 year old formulas and made ethically, sustainably, and cruelty free. Our products are soothing for all skin types- especially healing for sensitive skin, dry eczema or psoriasis prone skin, dandruff, and itchy flaky scalp.